Welcome to your new leadership role in the California State Technology community. This resource has been developed to support you in a successful on-boarding experience. The Resource Guide is designed to aid you in navigating state processes and establishing key relationships. Throughout the Guide, you will also find many links and even graphics summarizing important government processes. The intent is to provide key resources that will allow you to find answers quickly and efficiently. In any new position there is always a learning curve when adjusting to the responsibilities, culture, and, perhaps most important, the knowledge required to be successful. To help with this important transition process, executive partners from multiple state departments have come together to determine the information and resources they deemed valuable within the technology leadership community. During various focus group sessions, AIOs and CIOs were asked what information and resources they would have found valuable when they first came into their position. The result of these sessions is a broad collection of resource materials and links captured within the Guide. More importantly, all contributors have been mindful to ensure the content is focused, relevant, and useful. We encourage you to explore the Guide and its contents and discuss associated Department and Agency processes further internally. We hope you find this Resource Guide a valuable tool as you navigate your new role. Congratulations on becoming one of the newest members of the technology leadership community. Overseeing the management of IT assets, projects, data systems, infrastructure, services and telecommunications through the oversight and management the CIO. Developing an Agency Enterprise Architecture to rationalize, standardize and consolidate IT infrastructure, data, and procedures for all state entities within their Agency. Approval of Project Approval Lifecycle Stage 1 Business Analyses. Directly responsible for all IT activities within the state entity, including all systems, assets, projects, purchases, and contracts and will ensure state entity conformity with the Agency Enterprise Architecture. Portfolio management of the state entity’s technology initiatives. Help desk and customer service management. Establish appropriate fiscal policies to carry out the state’s programs. Prepare, explain, and administer the state’s annual financial plan (budget), which the Governor is required under the State Constitution to present by January 10 of each year. Analyze legislation which has a fiscal impact. Maintain the California State Accounting and Reporting System (CALSTARS). Monitor/audit expenditures by state departments to ensure compliance with law, approved standards, and policies. Develop economic forecasts and revenue estimates. Develop population and enrollment estimates and projections. The fiscal process is a dynamic one as new laws are enacted, new regulations are adopted, priorities change, available resources increase or decrease, and the Administration itself changes. The Department of Finance impacts the fiscal activities of other state departments because of the general authority granted to the Department in Government Code Section 13070, which provides the Department of Finance with authority over all financial and business policies of the state. DGS has statutory authority for the acquisition of Information Technology (IT) goods and services not associated with reportable IT projects and to delegate IT purchasing authority to those departments demonstrating the capability to make purchases that adhere to State statutes, regulations, policies, and procedure. Within DGS, the Procurement Division (PD) provides oversight, guidance, and direction to departments in all aspects of non-reportable IT procurements and acquisition methods using delegated purchasing authority. Additionally, through its One-Time Acquisitions Unit, DGS provides acquisition services for IT needs on behalf of departments who do not have adequate levels of purchasing authority. The California Department of Human Resources (CalHR) was created on July 1, 2012, by Governor Brown’s Reorganization Plan Number 1 of 2011. The reorganization plan consolidated the State of California’s two personnel departments, combining the Department of Personnel Administration with certain programs of the State Personnel Board. The mission of CalHR is to provide exceptional human resources leadership and services with integrity, respect and accountability to state departments and all current and prospective employees. CalHR is responsible for all issues related to employee salaries and benefits, job classifications, civil rights, training, exams, recruitment and retention. For most employees, many of these matters are determined through the collective bargaining process managed by CalHR. Increase customer satisfaction through improved responsiveness, efficiency, and effectiveness of government services. Increase operational agility and performance in the delivery of technology services. Improve the design and delivery of digital services. Transform and simplify the way government does business through innovation. Accelerate the adoption of common technology platforms and shared services. Advance the maturity of information security across California government. Improve and invest in security capabilities to protect mission-critical systems and data. Foster a security-minded culture throughout California’s workforce. Build a dynamic technology workforce that takes pride in delivering quality services and innovative solutions to their customers. Create a culture of innovation and collaboration. Develop the capabilities of both technology leaders and functional experts. Foster the advancement of a diverse and unified technology community. As the state’s central organization for Information Technology, the California Department of Technology is responsible for establishing and enforcing statewide IT policies, standards, instructions, and guidelines regarding IT operations, security, project approval, procurement, enterprise architecture and oversight. The State Administrative Manual (SAM) is the repository for most state IT policy. Changes, additions, or clarifications to state IT policies and processes are announced via Technology Letters (TLs). As announcements of policy, TLs are simple, direct, and brief. Some TLs require supporting detail to explain the processes associated with the IT policy. In those instances, the detailed information, such as processes, instructions, FAQs, and worksheets, is included in the Statewide Information Management Manual (SIMM). The SIMM also includes IT guidelines and best practices. Guidelines and best practices are not IT policy and, therefore, do not have associated SAM entries. State Administrative Manual (SAM) – contains statewide IT policy. Automated Accounting Systems – Section 7260 et seq. Statewide Information Management Manual (SIMM) – contains the instructions and guidelines needed to implement IT policy. Sections numbered from 05 to 80 and Sections 5300 et seq. contain standards, procedures, schedules, instructions, forms and templates that must be used to comply with policy. Sections numbered from 110 to 200 contain guidelines, models and forms that state agencies will find useful, but their use is not required. Technology Letters (TL) – contains official communications regarding state IT, including new (or changes to existing) IT policies, procedures, services or standards. The ISPA provides an independent, objective assurance and consulting activity designed to add value and improve state entity security operations. The Audit Program performs the on-site verification activity, which includes inspection or examination, of a process or policy (SAM 5300) and (NIST 800-53) to ensure compliance to state requirements. The auditors may form an opinion of whether the audited entity is free of material misstatement, whether due to fraud or error. At the completion of the audit, the auditor may offer objective high-level recommendations for improving security reporting and internal controls to maximize an entity’s performance and efficiency. The ISA is a technical assessment of a state entity’s network security controls designed to measure cybersecurity maturity. The ISA includes testing network equipment for vulnerabilities, penetration testing, susceptibility to phishing and an analysis of network traffic for signs of compromise. ISAs are conducted every other year either by the California Military Department or a third party vendor approved by the Office. Security Risk Governance is responsible for the following which encompasses the statutorily mandated functions. 1) Coordinating the activities of state agency Information Security Officers for purposes of integrating statewide security initiatives and ensuring compliance with information security and privacy policies and standards; 2) developing, issuing and maintaining policies, standards, and procedures directing state agencies to effectively manage security and risk, including the development and filing of technology recovery plans, and the tracking and reporting of incidents; 3) assessing the effectiveness of department technology recovery plans, incident response, and risk remediation plans; 4) promoting and enhancing state agencies’ risk management and privacy programs through education, awareness, collaboration, and consultation; and 5) representing the state on issues that have statewide impact on information security and privacy. Advisory Services includes education and training of the state’s security workforce, as well as assisting entities in preparing for the Information Security Program Audits (ISPA). The latter is accomplished through pre-and post- audit workshops which assist entities in gathering the required audit documents, identifying gaps, subject matter experts, and other training and tools to ensure entities obtain the maximum benefit from their ISPA. Post-audit workshops assist entities in developing a prioritized roadmap to address audit findings and complete the Plan of Action and Milestones (POAM). Advisory Services also develops and maintains standard security policies and templates to assist state entities in consistently and comprehensively documenting their information security policies. 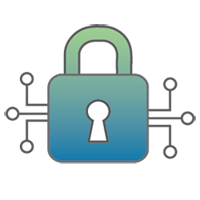 Lastly, Advisory Services provides targeted workshops on specific topics of interest to the information security community, and offers individualized consulting services to entities upon request. Security Monitoring and Intelligence operates a 24*7 Security Operations Center (SOC) that monitors and responds to security events generated from the California Government Enterprise Network (CGEN) and from CDT and CDT IT services. These assets face continuous threats including, but not limited to, disruption of services, attempted breach or destruction of confidential information, attempted unauthorized modification of records, ransom threats, and other malicious activities to undermine the State’s IT infrastructure. The CDT Data Centers hosts many of the State’s mission critical information systems including public safety, health services, revenue collection, budget management and other critical services on which constituents and government programs rely. In FY 18/19 these SOC services are planned to expand to begin to provide protective functions to State entities that opt in to those services. The above efforts provide state entities with the resources, tools and ongoing evaluation to enable them to develop and maintain effective information security programs to protect the information assets within their control and protect the state from malicious cybersecurity activity. OIS continues to strengthen the state’s cybersecurity defenses through an ongoing partnership and collaboration with the California Governor’s Office of Emergency Services (Cal OES), the California Highway Patrol (CHP), and the California Military Department (CMD) in the exchange of valuable cyber threat intelligence and interaction with the California Cybersecurity Integration Center (Cal-CSIC). Each of these efforts not only strengthen the state’s cyber defenses, but increase the ongoing commitment to identify, protect, and detect threats to the state’s information assets. The primary objective of the Office of Statewide Project Delivery (OSPD) is to promote the successful delivery of Information Technology (IT) projects and programs to meet the needs of the citizens of the State of California. OSPD provides direct oversight to the State’s multibillion dollar IT Project portfolio to ensure that the State of CA’s investment in IT results in expected business outcomes. OSPD includes the following organizations: 1) Project Approvals and Oversight 2) Statewide IT Procurements and the 3) CA Project Management Office. Business Analysis (Project Concept) Evaluates completeness, the sufficiency of the business case and whether or not the concept aligns with department and agency priorities. Alternatives Analysis (Project Alternatives) Ensure sufficiency of planning, organizational readiness and good documentation resulting in sufficient market research, alternative analysis and justification for the selected alternative. Procurement (Project Procurement) Development of the procurement documents, conduct procurement while continuing with project readiness tasks. Final Assessment and Approval (Project Execution) Select vendor, contract award, update final budget, project plans and schedule. Once the project is assessed for final readiness, it could be approved for execution. Information about the PAL can be found in SIMM 19. The list of PAL proposed projects can be found here. CDT conducts independent project oversight on medium and high criticality reportable information technology (IT) projects for departments and constitutional offices (Government Code § 11546, et al). The IPO managers are embedded in the project, review and monitor project health; create project oversight reports; escalate project risks and issues; and assist project staff in developing appropriate risk and issue mitigation strategies. IPO managers work hand-in-hand with Independent Validation and Verification (IV&V) services, which is to assess the quality of technical deliverables, as the checks and balance role for project oversight. The list of IT projects with CDT IPO oversight can be found here. California Agile Framework (CA-Agile): Provides practical guidance for understanding, planning, and managing iterative incremental project delivery activities within California government. California Organizational Change Management Framework (CA-OCM): Provides project practitioners with a guide for managing change within an organization in order to achieve business outcomes associated with a new mandate, process, technology, or strategy. California Business Process Re-engineering Framework (CA-BPR): Provides guidance on business process re-engineering methods and approaches to assist organizations in optimizing their business processes to leverage and maximize the capabilities of technology. Project Management Framework: Improves the processes, tools, and templates used to plan and guide current projects through their lifecycle by providing consistent and streamlined project management standards. Project Oversight Framework: Establishes and enforces policies that describe the criteria CDT uses to assess the risk, sensitivity and level of criticality and oversight for IT projects. Software Development Lifecycle (SDLC) Plans and Tools: SDLC Plans and Tools provide templates, instructions, and sample content that can be adjusted and scaled based on project size and complexity. Information about the CA-PMO can be found on the CDT website. See Key Partners section for a brief description of the Department of Finance (Finance) roles and responsibilities. Governor’s Budget–Article IV, Section 12, of the State Constitution: The Governor shall present a balanced budget to the Legislature by January 10 of each calendar year. May Revision–Government Code 13308: The Director of Finance shall provide to the Legislature adjustments to the Governor’s Budget on or before: April 1, May 1, and May 14. Budget Act–Article IV, Section 12(3), of the State Constitution: The Legislature shall pass the Budget Bill by midnight on June 15. The Governor generally has 12 calendar days to either veto or sign. The Information Technology Consulting Unit (ITCU) is a unit within Finance, and operates under Finance’s general IT powers of supervision over all matters concerning the financial and business policies of the State, as defined in Section 13070 of the Government Code. The ITCU’s primary functions include performing fiscal analysis of proposed statewide IT policies and enterprise initiatives including the analysis of proposed IT budget change proposals (BCPs) and project documents, and fiscal oversight of critical IT projects, pursuant to Government Code 11547. AIO’s and CIO’s are encouraged to engage with ITCU on all IT reportable projects and associated funding requests early in the year prior to submission. ITCU works very closely with the Department of Technology to enable project approval and funding decisions can be reached within the timeframes of the annual state budget cycle. ITCU is a critical partner to the Department of Technology in the review of all project documents (PAL, SPR, PIER) and the Department of Technology is critical to the review of all IT BCPs. This partnership will consider and prioritize IT proposals from a statewide perspective. Once an IT project is funded, ITCU shall perform fiscal oversight of the State’s IT project portfolio. This includes but is not limited to attendance at Executive Steering Committee meetings and project briefings, review of project status reports and oversight/independent verification and validation reports. ITCU works closely with the Department of Technology oversight managers throughout the life of the project. Budget Preparation Guidelines – This BL contains instructions to assist in planning for the upcoming budget process, normally released in May. The BL includes the date for project document submission to the Department of Technology. Budget Policy – This BL contains the Governor’s policy direction for the upcoming budget process, normally released in July and includes allowed circumstances for IT budget requests. Control Section 11.00 – This BL contains instructions for notifying the Legislature of reportable IT project cost increases, normally released in July. Budget Change Letters ( Finance Letters) – This BL contains instructions for planning during the Spring budget process, normally released in January and provides very limited circumstances for IT. Bills are introduced in the respective houses and are assigned to appropriate policy and fiscal committees for review. Bills are assigned by the Governor’s Office to each department that will be impacted by the bill. Departments review the bills and complete a Legislative Bill Analysis that eventually gets sent to the Governor’s Office for their review. For the majority of you, this will mean that your department legislative staff will be working with your agency legislative staff. The process for completing the Legislative Analysis varies by department, depending on their mission and goals. This analysis is confidential and is not subject to a PRA request, per statute. The analysis includes technical, policy and fiscal impact to your department. As bills move through the Legislature, you may be asked to weigh in on any bills dealing with technology issues, such as cybersecurity, IT Projects, or any requirements to use a specific type of technology. 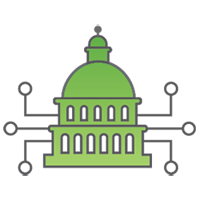 Legislative staff, including staff from the Legislative Analyst’s Office, could contact you directly at any point in the process. Any contact by staff members from the Legislature to you should be routed to your Legislation Unit, per your department policies. This ensures a consistent message to Legislative staff on various IT issues and topics. If contacted, please obtain the Legislative staffer’s contact information and send to the Legislation Unit, who will then follow up and most likely include you or your team in the conversation. The Legislative committees hold hearings to discuss issues related to your department’s programs. This may overlap into your department’s IT projects or technology program. You may be asked to testify or to provide technical assistance for or during the hearing. Your department’s Legislation Unit will contact you regarding any hearings that require your participation. The Governor’s Office and your respective agency generally provide guidance regarding testimony and other information provided to the committee. Your perspective as the AIO or CIO provides valuable information of the impact to your IT policy or program caused by proposed legislative changes to an agency’s or department’s mission or programs. For an overview of the Legislative Process, please see The Life Cycle of Legislation (PDF). The Statewide Technology Procurement conducts IT Procurements related to IT Reportable projects and Telecommunications goods & services. Established under California Code, Public Contract Code – PCC § 12120 and Government Code (GC) Section 11541, provides CDT authority to oversee all reportable IT Project procurement. In the 2018-19 Budget Act, Public Contract Code (PCC) Section 12100 was amended to provide CDT additional procurement authority over acquisitions of IT goods and services related to IT projects (as opposed to “reportable IT projects”). You may request services or for any questions contact Technology Procurements. Establishes under California Code, Public Contract Code – PCC § 12120 & Code (GC) Section 11541 that the CDT is responsible and has authority over any contract for the acquisition of telecommunications services and any contract for the acquisition of telecommunications goods, whether by lease or purchase. The CALNET Program partners with Statewide Technology Procurement Office to competitively bid the suite of CalNET contracts that are leveraged statewide by state government as well as local government entities, including many cities, counties, school districts, public libraries, federally recognized Indian tribes, and special districts across the State. This translates into a buying power in excess of 2,000 customers. This significant potential financial opportunity for network and telecommunications vendors drives competition and lower prices from vendors. Other mutual benefits are derived by promoting the growth of technologies in rural areas, providing standardized statewide pricing for services, and ensuring telecommunications systems and network services are robust, reliable, and interoperable. The Department of General Services (DGS) Procurement Division has separate procurement program for the state. It grants delegation of authority to approve contracts and purchase documents based on an agency’s demonstrated ability to manage the procurement process. Contact the Procurement Division in order to verify current delegation guidelines. The California Department of Technology’s Office of Professional Development provides a strong framework to support investment in staff across the IT community. Our strategy includes a mindful blend of education, training and leadership academies. Subject matter experts within the California Department of Technology (CDT) have developed a number of educational sessions on content such as project approval life cycle and security foundations. The sessions are hosted at the CDT’s training center and are offered at no cost to government employees. A number of partnerships with certified instructors are in place to ensure a variety of classes are made available for open registration. Training is offered through courses that are developed and administered on a standardized curriculum and through those that have been customized to incorporate state policy, guidelines and templates. The final piece of our partnership in professional development across the state is conducted through Leadership Academies. The Information Technology Leadership Academy (ITLA) launched its 25th cohort in October and the Project Management Leadership Academy (PMLA) graduated its first cohort in November. Our newest academy is the Digital Services Innovation Academy (DSIA), which launched in May 2018. Finally, the new Information Security Leadership Academy (ISLA) will launch in August 2018. An overview of each academy and its target audience is provided below. Information Technology Leadership Academy (ITLA): ITLA is a program for state IT professionals with a focus on developing leadership skills. Those with a vision for enterprise-wide thinking, aspirations for career advancement, and a passion for carrying out their organization’s mission and vision are ideal candidates for this program. Since ITLA’s first cohort in 1993, approximately 30 graduates have advanced to become Chief Information Officers while many others have promoted to senior ranks within the state’s workforce. Project Management Leadership Academy (PMLA): PMLA is a course of study for state IT professionals seeking to expand their project management and leadership skills. Combining classroom instruction with an internship component, students develop a strong foundation in project management while interning with a host department. Individuals with a strong interest in project management who understand the critical nature of a solid project management foundation are encouraged to apply. Digital Services Innovation Academy (DSIA): DSIA is designed to introduce the tools and skills required to transform a business problem from concept to product using digital solutions. Course topics include data analytics, design, development methods/ tools, ideation, and communication. Students participate in a data challenge and have the opportunity to apply concepts and knowledge learned. Developers, web designers, graphic artists, program managers, data analysts, data scientists, project managers and communication specialists are encouraged to apply. Information Security Leadership Academy (ISLA): ISLA is a program aimed at preparing candidates for the critical roles of Information Security Officer (ISO), Agency Information Security Officer (AIO), or an expanded role within their department’s security office. The Academy incorporates security best practices, Security Operations, risk frameworks including NIST, California-specific policy and standards, and interaction with the State’s security leaders. Participants will also take part in a dynamic simulation experience. Security personnel, tech-savvy IT, and aspiring ISOs passionate about security are ideal candidates for this program. The Workforce Development Programs and Special Projects Division within CalHR comprises three interrelated statewide programs; Statewide Recruiting, Statewide Workforce Planning, and Statewide Training. CalHR offers all types of training to support employee performance and career goals. With nearly 20,000 annual class registrations, CalHR supports workforce development in five regions across the state. In addition to a wide-variety of vendor hosted soft skill training, CalHR also offers civil service taught training solutions through its two academies; the California Leadership Academy and the California Lean Academy. The California Leadership Academy ensures there is a progressive and integrated process to develop leaders in state service. The program is intended to assist departments in preparing all newly appointed supervisorial, managerial and executive classifications, with their transition into a new leadership role, as well as to continually develop their leadership skills. 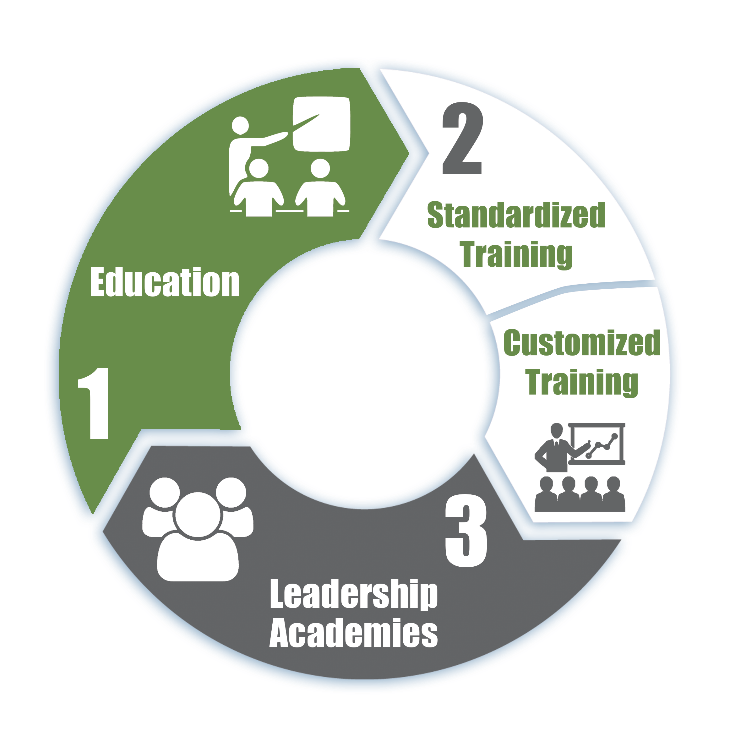 The California Leadership Academy relies on the Statewide Leadership Development Model (Model) to establish a consistent framework for developing multi-level training programs for supervisors, managers and executives. The Model is guided by a new overarching statewide leadership philosophy, supported by a set of core values that are put into action by demonstrating key competencies. Each element supports the goal of enhancing performance and better preparing our leaders to manage a diverse and dynamic workforce. Lean is a continuous improvement methodology based on five key principles to eliminate waste and increase value designed to improve processes and quality from the point of view of the customer. The California Lean Academy hosts Lean training for state employees at all levels who are interested in learning how to eliminate waste and streamline processes in their units, program areas, and departments. If you’re new to Lean or wondering what it’s all about, The Introduction to Lean eLearning course will answer your questions. This 30-minute, free course introduces you to the basic concepts of Lean, including waste vs. value, value add vs. non-value add, and the eight wastes, also known as DOWNTIME. If you are seeking a deeper dive into Lean? Sign up for this one-day course and earn your Lean White Belt. This class provides an overview of the fundamental concepts of Lean and the tools and techniques used to identify value-added activities and eliminate waste to improve customer outcomes. You will leave class with a plan to innovate and improve your work immediately! If your desire is to work on improvement projects that provide great results for yourself, your team, your department, and ultimately – the State of California, then you will want to anchor the skills learned during the Lean White Belt Course by broadening your Lean knowledge and skills with the Lean Yellow Belt training. In this training, you will learn how to make groundbreaking improvements and sustain greater results, helping to set you apart as a Lean expert. During this highly interactive Yellow Belt course, participants will learn advanced tools, techniques and methods of Lean and how it ties into the business processes at their organization. Participants will learn to implement Lean tools, techniques, and practices to achieve cost reduction and improve overall quality through consistent compliance to defined quality standards. CalHR is here to support department efforts to build and maintain a talented and diverse workforce. Today it is well established that organizations face extraordinary workforce challenges. California’s civil service system is no exception. To be successful in the coming years, organizations must be proactive and aggressive in identifying and addressing their current and future workforce challenges. All graduates of these programs will have a new plans for their organization in compliance with CalHR policy! CDT provides a variety of infrastructure, platform, software, and professional services to its customers, for their public facing and mission critical systems. These myriad of services are available in the commercial cloud and on premises at the Statewide Data Centers, and are provide by state employees, vendors, and through public/private partnerships. CDT customers include government entities, primarily State of California departments and agencies, however local government subscribe to services as well. The full view of available services can be found under CDT Services and can be requested through our website at the link below. All CDT services align with statewide IT policies, which helps departments streamline the implementation of IT-related efforts. For incidents related to CDT Managed Services, contact the CDT 24 hour Service Desk at (916) 464-4311 or submit an incident ticket directly into the CDT Incident Management system. If it is an urgent incident, you will receive a faster response if you call the Service Desk rather than submitting a ticket via the Incident Management system. 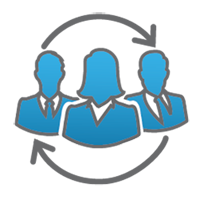 For incidents related to services provided and managed by a private vendor, contact the vendor directly. Brokered service examples are Commercial Cloud Services for IaaS/PaaS, Email & Productivity Tools, Customer Relationship Management, Electronic Signature, Project & Portfolio Management, IT Service Management, and CALNET Telecommunication Services. To help ensure a positive customer experience, CDT provides an Account Lead, as a single point of contact, to each customer organization. The Account Lead is the liaison between the CDT and its customers for technology services. For questions related to CDT technology services, contact your assigned Customer Engagement Account Lead. To identify your Account lead, use the Account Lead Directory link. To ensure the availability of IT systems managed by CDT, it is important that customers notify CDT of any significant application related changes, to mitigate the risk of a conflicting infrastructure changes affecting a customer application. Customers are encouraged to send these communications through their Account Lead. The Office of Digital Innovation (ODI) partners with organizations inside and outside the state government to provide and enhance digital service delivery. ODI promotes civic engagement, the use of open source software, and data-driven decision-making in the state. ODI functions in a “civic consultancy” role with the focus on solving business problems by using technology, rather than existing solely for the sake of doing IT. Expertise among ODI staff is varied including client and server side developers, UI/UX skills, graphic design, data science/analytics and DevOps engineering. Open Data Program: Provides a repository and portal for departments and citizens to explore open data and improve collaboration, analysis and decision-making. Open data drives more content delivery and innovation around important issues. 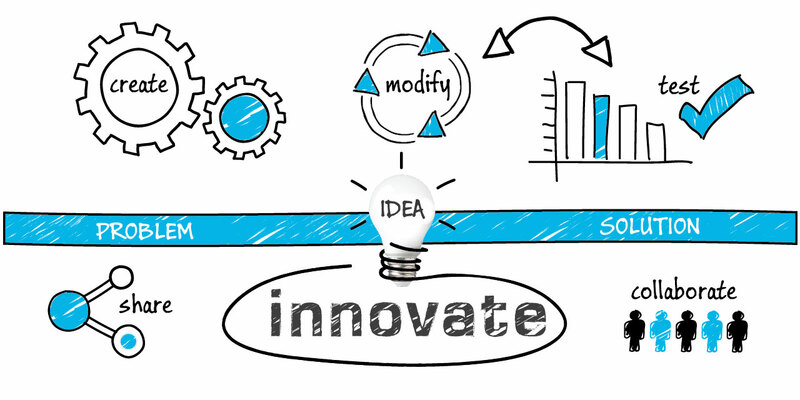 Innovation Lab: Allows government to try unconventional or radical ideas that encourage experimentation through a developer sandbox where public sector employees can collaborate, build and test open source web-applications, demonstrate, and share their solutions. This model allows government to be more efficient and achieve cost savings by repurposing code. ca.gov: California’s repository of open source code developed by the State. This site is an enterprise code inventory that lists custom-developed code from state entities to support state government-wide reuse and encourage public collaboration. Information about the ODI can be found on the CDT website here. Enterprise Architecture (EA) identifies the business processes that execute or support an organization’s mission and defines how Information Technology (IT) assets directly enable those processes. The purpose of EA is to optimize and transform the often fragmented processes, information, application systems and technologies into an efficient and integrated environment supportive of the execution of business strategy. To help execute business strategy and realize strategic goals, EA defines a desired target state view of an enterprise’s processes, information, application systems and technologies and an enterprise roadmap to progressively implement this target state through a series of projects. CEAF 2.0 is designed to guide the implementation of effective EA programs within and among state agencies so that the resulting EA deliverables and services enable mission success with a lower total cost of ownership, faster time to delivery, and reduced duplication. CEAF 2.0 helps state agencies advance in maturity of their enterprise architectures, so they can improve business and IT capabilities, improve interoperability and information sharing, expand shared business and technical services. It also promotes cross-agency initiatives for shared development of common business processes, common business and technical services, and reusable and shareable application platforms. For questions and suggestions, please contact the Office of Professional Development.